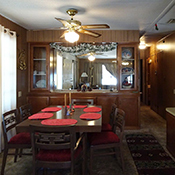 This furnished, 20x54, 2 bedroom home is affordable, economical and move in ready. 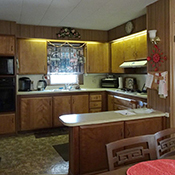 It has a large living room, formal dining with hutch, a step-saver kitchen with upgraded appliances and breakfast bar. The master bedroom has a double closet and bathroom. 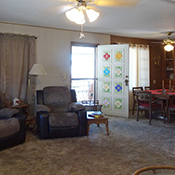 There is a guest bedroom and bathroom. 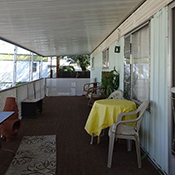 It also has a 8X30 covered deck, screened back deck with ramp, covered parking, a newer A/C and furnace. 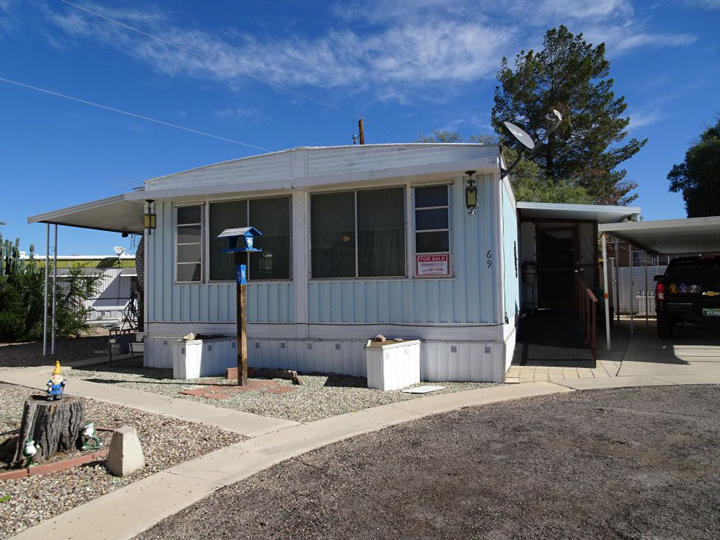 This home is located in a quiet cul-de-sac of this 55 + community in the Prince & Romero area. Call for an appointment.